HffFootball ResourceTrainning CourseChildren's football14th Children with special needs Futsal Tournament- 2013 Hoa Sen Tole Cup: Nick Vujicic to play and talk to young players. 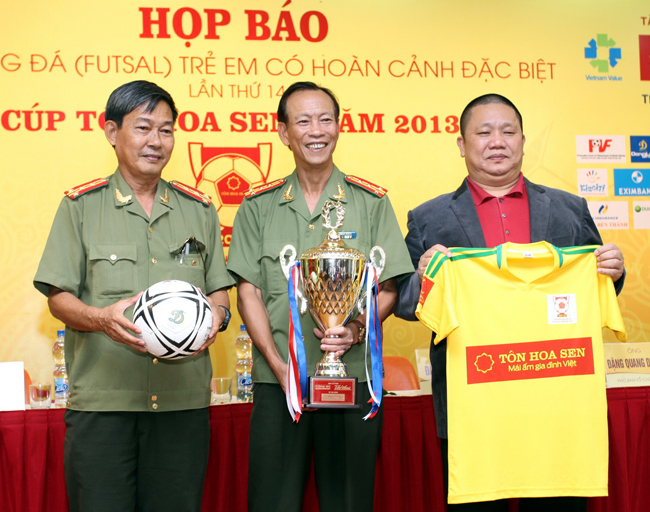 14th Children with special needs Futsal Tournament- 2013 Hoa Sen Tole Cup: Nick Vujicic to play and talk to young players. 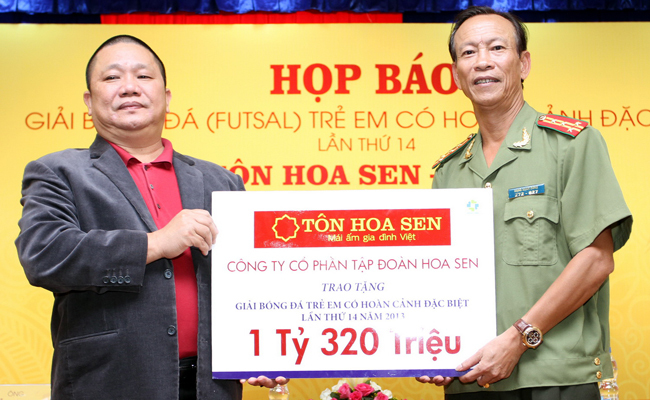 In the morning of May 20th, the press conference announced 14th Children with special needs Futsal Tournament was taken placed at headquarter of Cong An Nhan Dan HCMC newspaper. This tournament will last from May 25th to May 30th, 2013 at Military Zone 7 gymnasium. 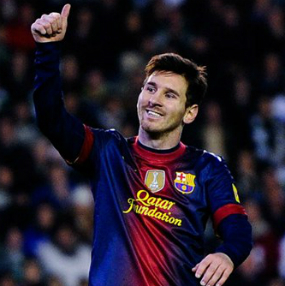 There are 8 teams in total which represent areas: the north, the south and Western Highland. They are: Ha Noi, Ho Chi Minh City, Ca Mau, Ben Tre, Da Nang, Gia Lai and the 4th reformatory and the fifth reformatory. 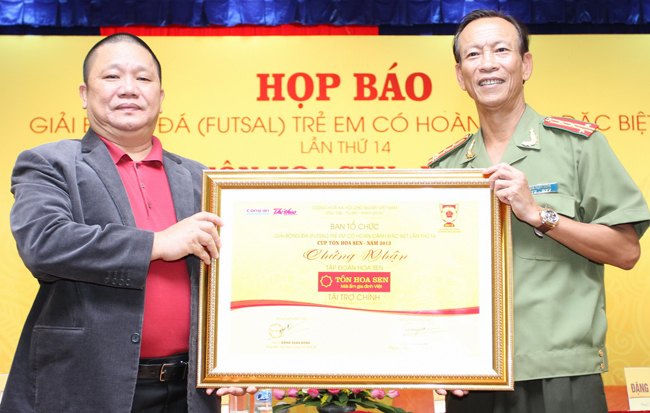 Children with special needs Futsal Tournament- 2013 Hoa Sen Tole Cup is hold with cooperation of Cong An Nhan Dan Newspaper and Viet Nam sport newspaper aimed to celebrate national children day that is hoped to be a healthy and helpful environment for children at SOS villages, charity centers, reformatories…The organizers will support with their bests in order that children will compete in friendship and fairness. Besides that, the tournament’s humanities will be more developed when organizers will change from the previous tournament that 10 outstanding players and the most excellent coach will be chosen to compete oversea (Southeast Asia ) , instead of the champion team as yearly. A special spot in this tournament is that the appearance of the famous without limbs Nick Vujicic, he will kick the first ball in the opening. According to Organizers and journalists Nick Vujicic will encourage desires and strong wills in children with special need much by his own experiences. Colonel Dang Xuan Dung- General Editor of CA HCMC newspaper is giving certificate of main supporters. 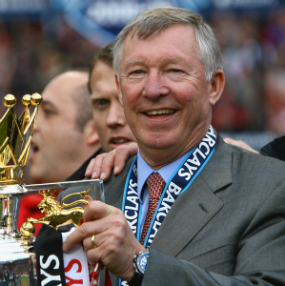 The champion will win Cup, flag, medals and 30 million VND. 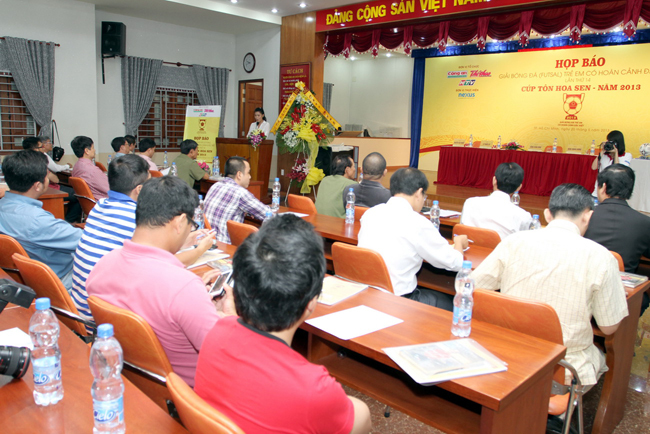 The runners-up will win silver medals, flag and 25 million VND. Besides that, the third winner will receive bronze medals, flag and 20 million VND and the forth one will receive flag and 15 million VND. 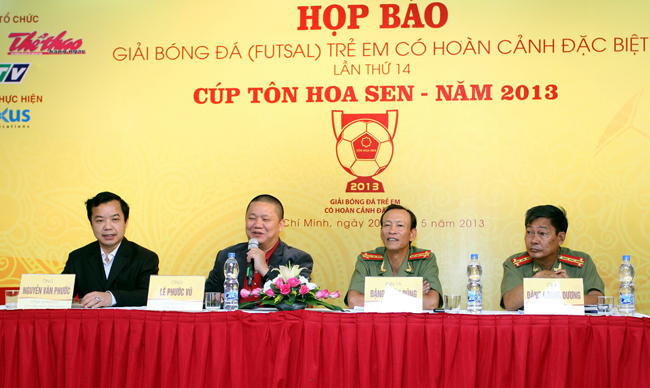 Moreover, there are also awards for best style play team, best line-up, the referees with 10 million VND for each of them. 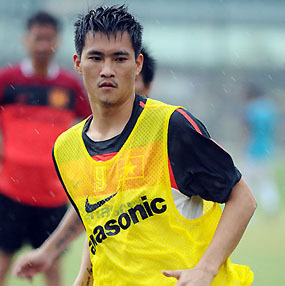 At personal prizes include the best player, goal keeper, coach and plex lagoon king will be present 2 million VND for each.